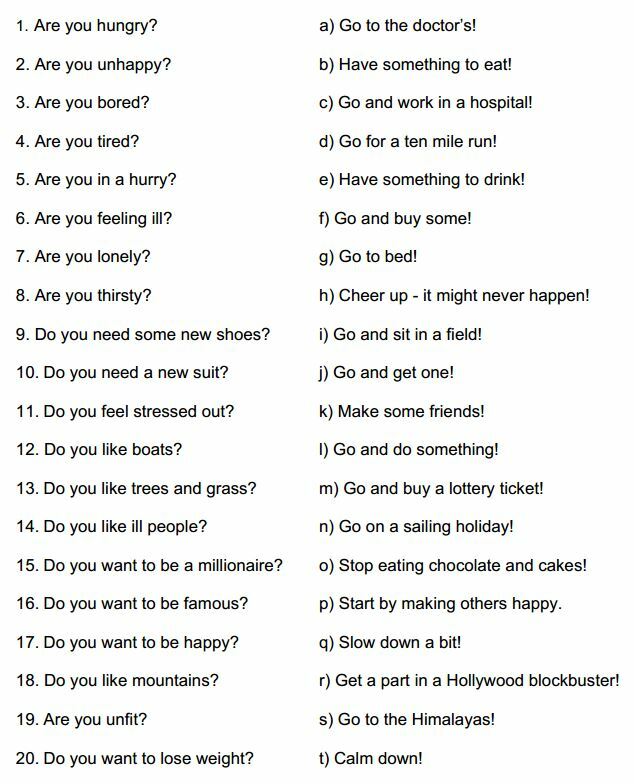 Match the question on the left to the good advice given on the right. Find more reading practice activities in the FREE Big Grammar Book. This entry was posted in EFL, ELT, English, ESL, ESOL, Grammar, intermediate, Reading, Use of English, Worksheets and tagged advice, comprehension, good advice, reading, reading comprehension on May 31, 2018 by admin.